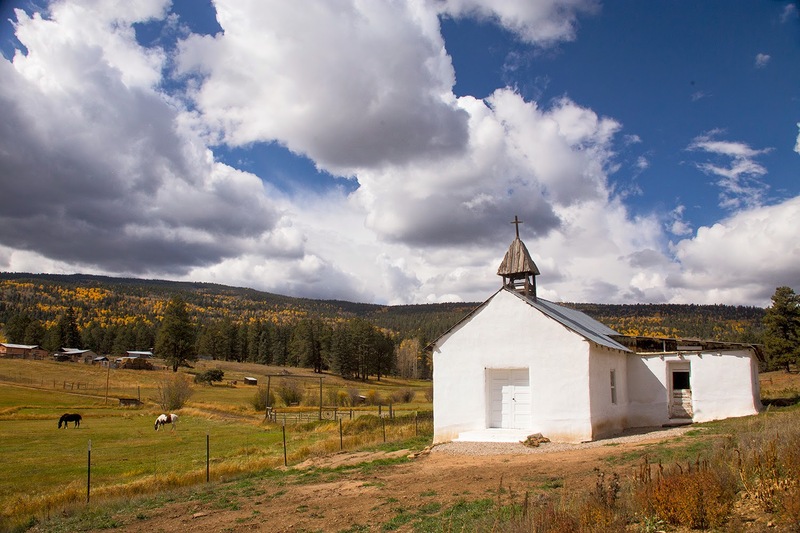 Several years ago my friend Bill Davis, the dean of Taos photographers, took me to this gem of a church between Angel Fire and Black Lake, New Mexico. Thanks Bill. So when Peggy and I were hankering for a short photo safari we headed up US 64 toward the Moreno Valley for some inspiration. The Moreno sits at 9,000 feet and sprawls from Black Lake at its south past Elizabeth Town to the north before the steep climb and descent into Red River. We continued straight east across the valley through Angel Fire as I searched for the road to the church. After a couple of miles a sign saying San Antonio Church directed us into the woods. We turned onto the dirt track and drove through the forest for perhaps a mile then dropped into an alpine valley with the white iglesia nestled in rolling pastureland. Two horses complete the thoroughly western ensemble. The last time Bill and I knocked on the door of the ranch house behind the church to ask permission because he was pretty sure that it was on private property. While we didn’t ask this time, shortly after we started photographing a car from the house stopped on its way out We exchanged pleasantries with the driver who said she was the mother in law of the house’s owner. She absolutely gushed over the beauty of the location and how she was blessed to live in such a glorious place. You are on a roll. These two shots of Iglesia Blanca pop right off the screen, each one with its own mood and feeling. 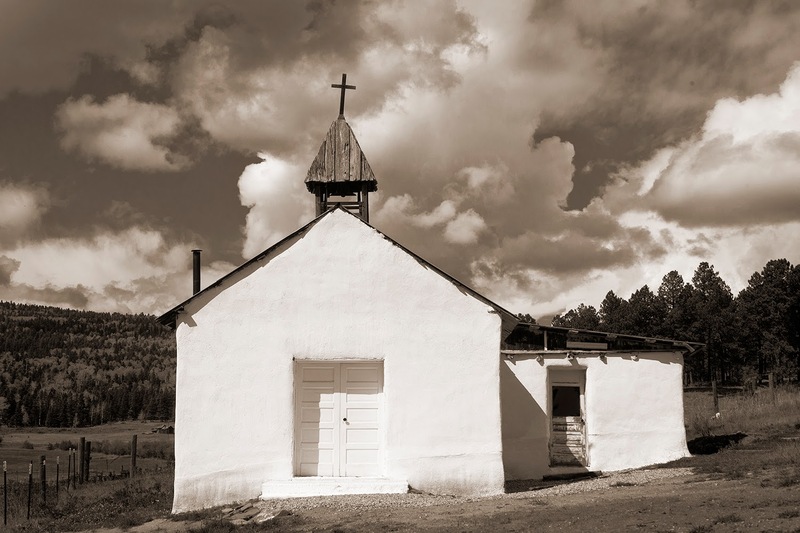 Love these photographic jaunts through northern New Mexico, Steve. Keep it up! Thanks Daryl. That's how I roll.